Well the storm over whether New Zealand had a “world class education system or not” got eclipsed by the real thing in the US as the week went on. The NZ Herald waded in this morning and told “education commentators” what amounted to grow up and get over it. I was a little saddened about their taking to all education commentators because I have diligently pointed out over many years that our enthusiasm for what we are doing in education needed to be tempered a little by the reality of achievement, especially when diced along certain lines. Of course we do good work, that has never been the issue but to want to hide behind the world class claim is more than a little immature. But chatting with a group yesterday we concluded that New Zealand rather liked to be able to make claims which engender enthusiasm for our view of ourselves but which become a little ragged when scrutinsed. The following were mentioned. We have the best race relations in the world! Certainly we work at them a little more than others and usually much more constructively. But to want to make the claim that we have the best race relations in the world is to enter a very dark place. What does it mean? What are the measures? Equity of educational outcomes? Demographic profiles of our corretional institutions and the clients of our justice system? Perhaps it can be measured in health, employment and housing statistics? If it simply means that we do not often stand in the streets hurling abuse at each other then …. What about the incidents in the Jewish cemetry in Auckland recently? Clean Green New Zealand / 100% Pure! There are increasing calls for us to challenge this. Surveys show that our rivers are pretty dodgy, so are some of our swimming beaches. There is constant worry about mining, deep sea drilling, fracking and other such activity which suggests that for a variety of reasons there may be imperatives that are stronger than any commitment to Clean Green NZ or to 100% Pure. This is a pity because primary schools often do good work in the areas of environment responsibility. New Zealand is great place to bring up children! Well it ought to be, there is so much going for it. There is nowhere far from the sea, the grass grows green, the cities have open spaces, we commit to universal access to education and work hard to achieve universal equity in outcomes (but see above) and so on. But when I look back to when I was a child (cue in the violins and the soft focus cameras – black and white please) I note that we had a more comprehensive system for looking after babies – ante-natal and post-birth, that schools provided health checks and the free milk symbolised the commitment to feeding our young ones. Health camps were there for those who might benefit from a break from circumstances that were perhaps not helping and they varied widely – people bought postage stamps to help pay for them. Family life was stronger as parents were free generally from work at weekends and could spend time with young ones. And….. while there probably was hidden abuse of children, the scale seems to have gone well past the level that open-reporting could have produced. We never heard of youth suicide as a phenomenon, alcohol abuse by young teens. And there was no such thing as boy racers – it is hard to loose traction on a Raleigh bike! So it is worth asking – is New Zealand still a great place to bring up children? We are a great sporting nation! I think we do possibly “punch above our weight” whatever that means. And recently the All Blacks were challenging for a record number of test wins, a record held by that famous rugby nation, Lithuania. But what if we measured our greatness as a sporting nation by sheer participation – how do we stack up then. Well, probably still pretty well. What if we measured it by the physical health of the nation? What if we measured it in terms of the big sports in world terms – football, basketball, golf and tennis? Still quite a good effort here. Olympic Games – OK? We all need our cuddly blankets and New Zealand needs more than most perhaps given its isolation and its still difficult new orientation to Asia and the Pacific rather than the Old Country and Europe. But as a friend of mine in London says – “You should be OK in New Zealand. After all, if you have an issue you can all get together at the weekend and sort it out!” That might turn out to be our real strength when we reach the point of recognising it. So I propose a new generalisation. Is that a trick or a treat? The recent demographic growth figures for New Zealand have some clear messages for education. The key figure is that by 2031 it is forecast that 38% of all New Zealanders will be living in Auckland. This is an extraordinary proportion that Dublin eclipses at 39% but which takes Auckland ahead of cities such as London (21%), Tokyo (25%) and Copenhagen (24%). Or put another way, 61% of the total growth of our population will occur in Auckland. Additional factors are that there will inevitably be population decline in many other areas of New Zealand and that the significant concentration of higher population growth groups in Auckland will see a proportion of young school age citizens even higher than the 61% general forecast – perhaps as many as 75%. Twenty years is not a long time period in which to prepare for these shifts. In short, the sort of shuffle that is happening in Christchurch is only the beginning of a significant shift of resources to the Auckland region. It is simply a fact that many schools outside of Auckland will close, it is inevitable that many schools will be merged (a softer form of closure). Just north of Auckland there is a little settlement called Waiwera. First there was one school on the hill which was replaced by a new school down on the flat. Finally, that school was closed and the young ones transported to Orewa. This reflected the shifts in school population and is a bit of one example of what has already happened in many rural and isolated communities throughout New Zealand. I am told that perhaps twenty schools are likely to close in the Central area of the country simply because they will run out of children. It is a matter of simple maths that if two thirds of New Zealand’s new babies are born at Middlemore Hospital in South Auckland each year then five years later two thirds of New Zealand’s new Entrants are likely to be in the Southern Auckland area. Rather than go into denial. The education system would be better to start planning for these dramatic changes and participate in them rather than sit back hoping it will all go away. This can only end up with tears as the necessary changes are brought about. So what will it all mean? Schools will have to close and others merge. But this should be on the basis of known formulae rather than have the appearance of random and perhaps responses to pressure from communities that can bring pressure to bear or simply make more noise. The formula could be agreements about optimal size of schools and optimal distances for children to travel, all having regard for “community” however that might be defined. Each of these factors has changed over time: roads are better, no-one travels to school by horse, many parents transport the children to school, few use bicycles. It is likely that schools do not need to be located where they are currently. It makes no sense to spend capital on schools without these assessments. “Community” is a very emotional factor. But that has changed as well. Many students choose to transport their children out of the community in which they live to access schooling is another community. Many schools actively seek students from communities other than their own for a wide variety of reasons. “Community” cannot be assumed to a simple matter of plonking a school in the midst of a suburb or a town. There are also implications for governance and it is probably inevitable that we return to some key principles of Tomorrow’s Schools that were never implemented and ask if they now have a key role to play. I am thinking of the Parent Advocacy Councils, The Community Education Forums and the Education Service Centres. Each of these would have contributed to a greater sense of community and to a much higher level of community involvement in education than the truncated model based only on the Boards of Trustees has been able to achieve. Finally, the greatest proportion of teachers will be needed in Auckland and this will happen within the next twenty years which is half of a teaching career. The impact will be wide and the cuts will be deep. Those who cope with change best are those who embrace the future and take an active part in the changes. How we feel about such changes is a matter of choice. There is something a little misleading when arguments are conducted mostly in the negative. A recent educationalist from Finland visited the country and most of the media coverage appeared to be a list of things not to do. It was a catalogue of things that were familiar to us. Don’t have a national testing regime, don’t consider differential pay for performance and so on. They constituted a list that fitted neatly into the predilection of those who argue for no change. there is only one teachers organisation that covers the total spectrum from pre-school through to higher education. All of this requires a vision and a level of professionalism that we have yet to achieve. Especially in the matter of social justice and equity. The Finns believe that learning about and within a mixed social environment is a key contributor to one of the major outcomes of education – a society that is just, fair and balanced in its respect between people and the way it treats special need and disadvantage. Schools therefore are planned to be mixed to something of the same degree. The result of this appears to have been a key to producing the smallest difference between schools in the OECD without detracting from and perhaps actually being a key contributor to Finland’s high PISA ranking. Meanwhile we continue to wear decile ratings as either a mark of honour or a badge of shame greatly to the detriment of one end of the range and consequently we have one of the biggest gaps between schools. In dropping decile ranking in its reports, is ERO giving a message to us all? To return to the nature of what we call the senior secondary school years – Years 11-13. In Finland the Years 11 -13 are based on courses that last about six weeks. Students choose the courses they want on the basis of their pathway plan (each student has a personal careers advice / information /guidance / education allowance). Systems of co-requisites and prerequisites give longitudinal coherence to study without compromising the choice element. In this tertiary style approach, Finnish students are required to complete 70 courses in the three years. Most students study more than the minimum and many achieve around 90 courses successfully completed. Meanwhile we struggle to get many students up to the minimum. While the teacher education results in the Masters level qualification required for teaching at all levels and while those courses have quite a degree of shared content, there is a slightly different emphasis in what appears to be three slices – the pre-school / early years, the middle years of the “community school” and the upper levels of that school. But the shared level of course content that all have allows for flexibility. 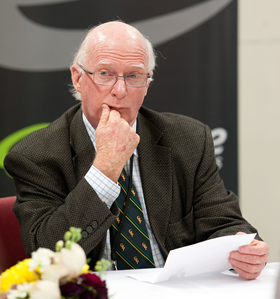 Finally,there is the question of hunger – does New Zealand have the hunger to do the things that need to be addressed to lift our world rating and to move our education system into the ranks of systems with equitable results? Finland clearly did but we need to take a good hard look at ourselves. The public discourse is all about what NOT to do with very little focus on changes that need to be made. In this respect the discourse is timid and negative. Let’s get rid of the fear of ideas and have much more talk about what we might do. It has become a cliche that to continue to do the same things but expect different results is a clinical sign of madness. The evidence suggests that change is needed, big change, and fast. When visitors come to New Zealand we should exhaust every last idea they have which might inform or excite us rather than simply seek support for digging our collective toes in. Pathways-ED: Degrees of difference: Money or the BAg! Oh dear, what a little fluster we got ourselves into when the newspapers came out with the news that our degrees don’t lead to much financial advantage for the students who slave to get them. And let’s not take anything away from that achievement. First, degrees are worth a lot. As pointed out by AUT’s Derek McCormack, degrees provide advantage in the employment stakes and those with jobs tend to have financial advantage over those who don’t! Some degrees are in high demand and do provide not only better starting remuneration but also greater rapidity in a rising career trajectory – Auckland University VC Stuart McCutcheon pointed this out. Bob Jones of course had his contribution to make with his well-known view that degrees weren’t important unless they were in the thinking subjects such as history. He requires prospective employees to be readers, the mark of the thinking person. He has a strong point here. The parchment is not the endpoint of a degree but a lifetime of access to ideas is. It is sad when a discussion about higher education settles down to the level of a whinge about pay but the newspaper in an indignant editorial did raise that old argument about whether education, especially Higher education was a private gain or a public good. It is a silly argument because it is and always has been both. Of course it is a private good, a student who gets a degree (the mark of what is taken to be an education at that point) is privileged through a likelihood that they will be employed, be less likely to be in jail, more likely to have better health and housing. Importantly, their families are more likely to follow in their educational footsteps and even exceed the success they have had. Money? Well there is also advantage there but not as much as in some other countries. Relative to remuneration levels those differences might not be as great as they are portrayed. Public good? Of course there is a level of public good. While some of the rising credentialism that has occurred over the past fifty years has had an irrational element to it, degrees are an important entry qualification into many professions. The legal profession and the medical profession have always required bachelor degree level qualification for entry into those professions. Now a host of others also require degrees – teaching, nursing, accountancy and town-planning. This is more the result of the push to increase the numbers of degrees offered and the clear increased focus on being vocational that came out of the feral 1990s when the tertiary institutions battled it out for market share. The private gain / public good argument received its big push in the Treasury briefing papers of 1987 which was responsible for the education system taking a swing to the right in what did become something of a fees rocky horror show for many students. The private good argument won back then and ever since every taxpayer funds degree programmes to all starters. It will be looked at again one day when questions are raised about the sense of this wholesale money laundering scheme that leaves too many young people in debt. But what was not highlighted in the discussion was that while degrees are important they are not the only qualifications that are both needed and highly valued. New Zealand probably does not need increased numbers of graduates with degrees. What we do need are those with quality intermediate qualifications – the technicians, the supervisors working at the applied practical end of successful business, industry and commerce – the ones that keep the wheels oiled and turning. That is the “skill shortage” and, now it seems, that is the group that we are losing to overseas opportunities. This is not an argument that dimishes the value of a degree but one which simply draws attention to a fact. Of course we need degrees but even the Tertiary Education Commission joined the feverish chorus in a recent youth transitions paper by emphasising the importance of “higher qualifications (particularly degree level)”. Australia, the US and the UK have all set targets for the proportion of people who should have a degree that they have not a chance of meeting. It is much more intelligent to have targets such as those set by the Better Public Service Goals (85% of 18 year olds with NCEA Level 2 by 2017 and 55% of 25-34 year olds with a Level 4+ qualifications by 2017) – they are achievable and are key markers of both the school system and the tertiary system getting our young people onto a success trajectory. in fields of speciality for the polytechnics such as IT, commerce, engineering and architecture there is “little difference” and in some cases in these areas, the polytechnic graduates are earning more. the study was unable to find evidence that provider quality leads to a gap in earnings over time. As with all qualifications a degree is merely a stepping stone to further education, to employment, to enhanced life choices and chances and to the likelihood of increased opportunity for your children. If you can’t take pleasure from all that and want to have a grumble about money, seek solace in the fact that you are doing for your child rather than yourself. Talk-ED: And we thought we were doing well! The OECD is known for its careful and challenging research reports and this one seems to knock to pieces the assumptions that we so often hear about in educational discussions. I have long felt that the supposed advantage that young people had over we elderly was simply that – a supposition that this should be so. When time spent is taken into consideration, being technically adept is not related to age any more than the older age groups know how to manage a vegetable garden better than the young generation. Malcolm Gladwell has asserted that it takes 10,000 hours to develop high level competence in a skill area. Students spend a little less than 8,000 hours in school (up to Year 10) so school alone is not going to get them there. Perhaps they spend huge amounts of time out of school connected through technology but some of that raises issues that are challenging to educators rather than helpful. The influence of video games might not be totally wholesome (although they have been found to have developed further some skill areas), cyber-bullying and distorted relationships can result, students can develop a loose attitude to what we could call plagiarism, and so on. Digital literacy requires the teaching of digital literacy just as literacy requires a conscious effort from both teacher and learner. It cannot simply be a side dish to the more traditional fare of education programmes. Now there could be a good case to be made here that New Zealand schools do give digital literacy the emphasis and place that it deserves. The OECD perhaps weakens its case in this regard when it uses as evidence this lack of a central place for digital literacy the fact that statements about digital literacy are not taken “into account seriously, that is, translating statements into requirements for national student assessments. The report further concludes by noting some of the challenges: integrating digital media and social practices into the daily school life, dealing with the issue of 21st Century Skills, helping young people learn the digital and information skills that are simply assumed to have been picked up and helping young people become connected so as to enhance the learning experience. Today is the first of October,. Who remembers the 1 October Gazette which unleashed an avalanche of teaching position applications from those aspiring to teach the following year. All that has changed as the dynamics of supply / demand have altered. Another little exciting ritual consigned to the scrap heap!